In our substations we use air-conditioning systems to cool our buildings, maintaining a temperature level between 5 and 35 degrees Celsius and a humidity level between 20 and 90 percent. Our aim is to reduce the consumption of energy and cooling fluids by replacing air-conditioning systems with free cooling. We are currently conducting a pilot project at five stations in the Netherlands where we have saving options implemented. Here you should think of replacing many lighting used by LED lights, the use of occupancy sensors and more efficient heating. One of the five stations that is part of the pilot, is station Dodewaard and the pictures below show the measures implemented at this station. The results are expected in early 2018. Then we can decide how we can use the results within TenneT. On station Emmeloord Zuidervaart we are currently conducting a pilot project with solar panels. These solar panels have been installed to meet the energy needs of the station. For this project, SDE (Stimulation Sustainable Energy) has been granted. Solar panels at stations is new to TenneT and there are also quite a number of things that we need to investigate; what about maintenance? what will be the production? Is the roof a suitable place? Is this really the right way for greening? 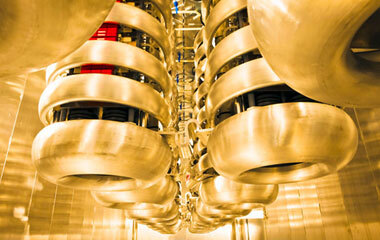 TenneT is participating in two major European research programmes: PROMOTioN and MIGRATE. These programmes were initiated in response to new challenges related to the development of offshore power grids and the increasingly important role of solar and wind energy. 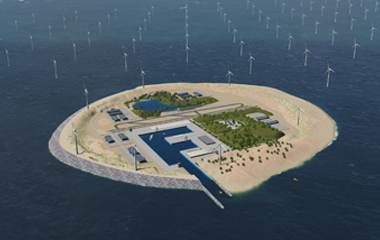 TenneT is investing heavily in Germany to connect offshore wind farms in the North Sea to the German high-voltage grid.